Not sure which plan to select? 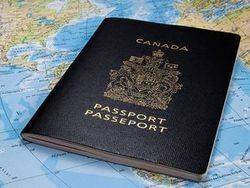 Scroll down for a quick summary and recommendation of the best travel insurance for Canadians. Medical, evacuation, political, terrorism cover, lost luggage, and many more benefits for your travel insurance request. Canadians needing long-term coverage overseas for 12 months or longer. Our career international medical insurance plans, at https://www.gninsurance.com/long-term-international-health-insurance/, offer optional coverage including or excluding the U.S. and Canada. Have the option of including or excluding coverage in the U.S.
Coverage is extendable up to 2 years for non-US travel. Travel plan available up to 3 years worldwide minus U.S. and 2 years available for worldwide including U.S.